Australia has embraced telemarketing as a critical element in their customer service support and other inbound services. Business organisations there have optimised its use by establishing a help line for emergencies, a channel where clients can put out their issues and concerns, and a medium to strengthen the bonds between the seller and the buyer. Indeed, the use of the telephone is very consequential in maintaining healthy relationships with the customers. Its fast speed, ease of access, national and international coverage makes it the best way to provide solutions to clients’ problems. But, telemarketing is not confined within the walls of inbound calling. Client support and other inbound activities form only one side of marketing through the phone. The other one is outbound telemarketing. It is a function that is concerned more on bringing new clients to the sales pipeline, making researches about the current market and talking with the decision-makers of other companies. If inbound concentrates in retaining customers through immediate responses to their needs, the epicenter of outbound is with generating new buyers. Increasing the value and quality of the sales pipeline is one of the tasks that can be accomplished through this pursuit. You can make use of outbound services to propel you business success further. Here are some of the activities you can work on. 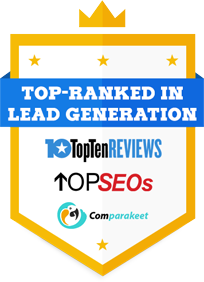 • B2C/B2B lead generation. One of the best things to find sales-ready buyers is to obtain their business and consumer contact information. In this task, cold-calling is now considered a veteran, which combines fast speed and accuracy in gaining B2C/B2B sales leads. Although you can power up online marketing and other avenues, making cold calls has an edge over such tools. What sets phone marketing apart is the chance to talk directly with the decision-makers. A telemarketer can directly engage in a dialogue with them, which makes it possible to determine their interest level. Through this, you can generate only willing buyers and avoid the hassle of chasing poor leads. • Market surveys. Apart from obtaining new customers, you can use outbound calling to know more about your target market. Another way to attract clients is to give to them what they need and want. By doing telephone survey, you will unleash their desires. The information you obtain will guide you in recreating products and services according to the preferences of targeted leads. Market research is the key to unlock your customers’ hearts desires. • Database cleaning. If you have your own leads database but have not updated it recently, the phone is the best way to clean it. Verifying data directly from the prospects and clients themselves is something that only telemarketing can accomplish in high speed and precision. You can get rid of old contacts and replace them with the latest information. Besides, you can add new data. • Appointment setting. Business leads are not only things generated. The phone, when done properly, is a channel to get hold of business appointments. In fact, appointment setting is made easier and faster with telemarketing. Just be sure that quality assurance is firs imposed on generated leads in order to avoid wasting time on cold leads. If you want to ascertain that the future economic benefits expected to gain in telemarketing exceed the costs, put your trust on outsourcing. Credible telemarketing call centres can find business opportunities in behalf of you. After all, contact centres are experts in this field. B2B Telemarketing: An Export Company’s Effective Mode of Contacting Australian... Should Marketers Pin Their Hopes On Pinterest?